Today's guest blog post is from Michael Catarineau. Michael recently moved to Scottsbluff, Nebraska, and he's bringing us along on his journey as he takes on life in a small town as a freelancer and ag journalist. You can learn more about his big move here. Welcome, Michael! My name is Michael Catarineau, and I am a photographer, graphic designer and journalist. I freelance these skills, but I will also use them all together in my day job as an ag journalist for a daily newspaper, the Scottsbluff Star-Herald, in Scottsbluff, Nebraska. I graduated from Texas A&M University in December 2016 with a bachelor of science in agricultural communications, and journalism and moved to Scottsbluff at the beginning of 2018 after struggling to find something full-time in Texas. While my degree and (most) of my freelance writing are ag-related, my agricultural background extends about as far as my 7-year-old arm offering an oak leaf to a cow in my great-grandma's pasture. When I started at the Star-Herald, I edited copy and built the next day's pages in InDesign. Starting today, I'm western Nebraska's newest ag reporter. Uprooting my life in Texas and moving 1,032 miles away (I counted), was not easy — emotionally or physically. Everything I grew up knowing and love is a 16-hour drive away. To be honest, I was worried my 2000 Toyota 4Runner — with 260,000 miles on the clock — wouldn't make it. She did, and is still buckin'. I chose to move to Nebraska at the worst possible time: the dead of winter. For the first time in my life, I saw real snow. Not the icky stuff you get once every five years in Texas, but soft, fluffy snow. It was extraordinary for all of 15 minutes. Then the freeze set in. I couldn't feel my face, my fingers — even my toes were numb in my boots. Fortunately, I had a fellow AGCJ graduate up here to lend a couch and a heater. As someone who has always had a comfortable bed, sleeping on a couch for nearly two months was quite the experience. When I finally had enough saved up to get an apartment — and a mattress — I found one less than a three-minute drive away from work. As a Texan, I had never seen a basement before. Now I live in one. And that's common up here. As I start my fifth month in the prairie, and the grass turns green and the trees begin to fill with leaves, I'm still working on getting my freelance side hustle up and running. 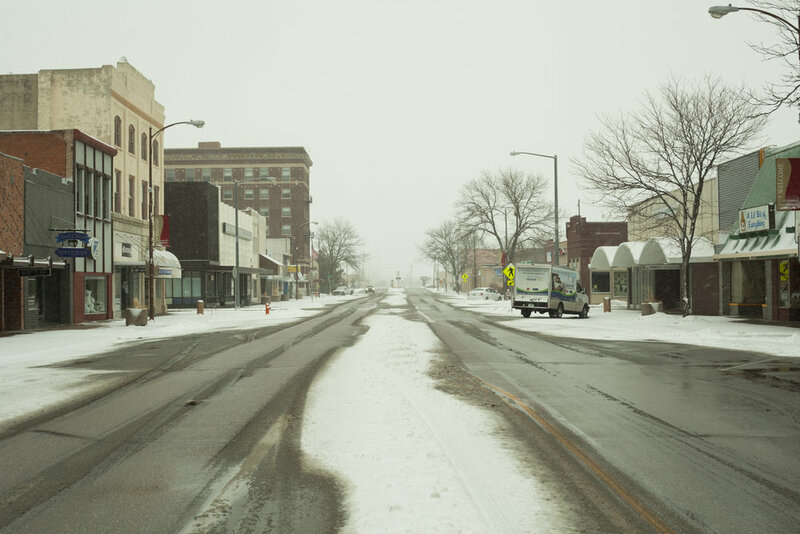 Follow my journey here on Rural Revival to get a glimpse into my world — a big-city Texan in Small Town, Nebraska.